This is simply categorized by the Samsung devices that are killing it, if you're a Samsung lover, you might perhaps want some ice cream and pizza to help enjoy the beautiful details this list will bring, and if you are not one yet, this list can prove to show you are missing out a great deal by not owning a Samsung device yet, most especially the top class ones. Straight down to the big boy of this phone line, we all are being awed by this beautiful and incredible device. With the look and feel, Samsung has differentiated the Galaxy S7 Edge and its curved sibling (the S6) a bit more than it did last year. The more vanilla Galaxy S7 edge, however, seems to fit perfectly in the hand. The curved back and flat sides gave us more than enough control. The glass front is still a bit extruded and has gently rounded edges, which meet the metal as if flowing into it.In most other respects, the two siblings are identical. A physical home button with integrated fingerprint reader below the screen, capacitive Back and Recents buttons, a power button on the right, and volume buttons on the left. The physical ones are a little narrower, but no more or less easy to use. 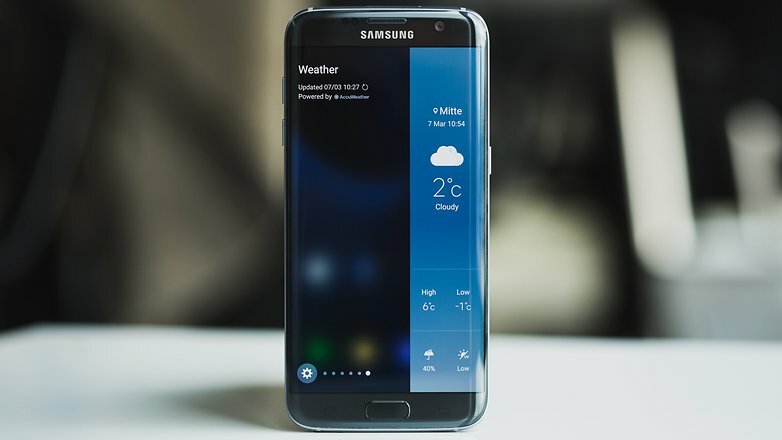 The Samsung Galaxy S7 Edge measures 5.5 inches diagonally with Super Amoled panels, and have a resolution of 1440×2560 pixels, or Quad-HD, and a battery that accommodates 3600mAh unit. 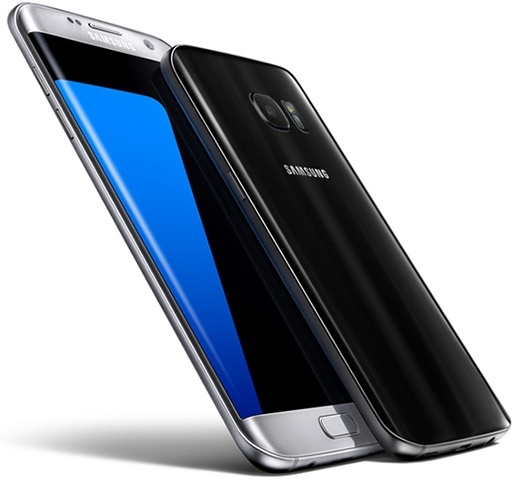 Running behind the Galaxy S7 edge is the Samsung Galaxy S7. If you’re on the hunt for an Android phone right now, the Samsung Galaxy S7 should be very close to the top of your list. With its look and feel, there is one notable design change on the back – the sides now curve ever so slightly, just like they did on the larger Galaxy Note 5, and it makes a huge change to how the Galaxy S7 feels. While the S6 felt harsh and rigid, the Galaxy S7 slips softly into my palm. It’s so much more ergonomic and makes picking it up off a flat surface much easier. Housed inside the home button is a really fast and accurate fingerprint sensor that matches the iPhone 6s for speed, but it’s marginally slower than the Nexus 6P’s. That difference is minimal, though, and something you would only notice if you had the two side by side. It has a 5.1-inch QHD panel with a 2560 x 1440 resolution, and just like every Galaxy flagship so far, it uses Samsung’s Super AMOLED tech, rather than the more common LCD. It uses extra battery too. About 1-2% per hour, so 15% or so per day. It’s just about worth it. 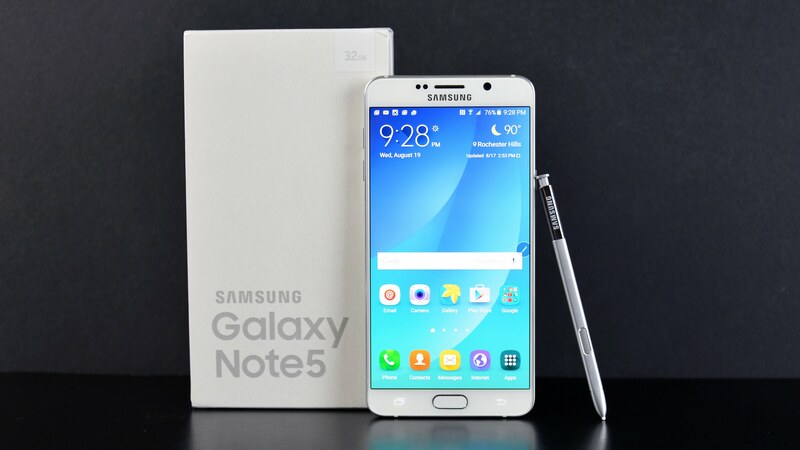 We can't be wrong for adding this device to the list of Samsung elites, the Samsung Note 5 is most powerful and most beautiful Note to date; it has an eye-catching design, high-end hardware and takes great outdoor photos, using the stylus has never felt better, and the battery life is terrific. The Samsung Galaxy Note 5 is the sleekest, smoothest stylus-equipped jumbo-screen smartphone that the company has ever made. With a plus; a slim, shiny large-screened luster, strong camera, retooled stylus, and killer battery life. But the Galaxy Note 5 otherwise looks pretty much the same as the Galaxy S6 Edge+, featuring the same dual curved-edge screen and nearly identical specs. And the Note 5 is basically the supersized versions of the Galaxy S6 and S6 edge models that Samsung debuted in March 2015.